Photographers are, at the moment, standing on the edge of another major shift in the industry. It hasn’t been since the switch from file to digital that a marked change has been so prevalent in our industry. I’m talking of course of the move towards Mirrorless. While this technology is not new, its been in snap shot cameras for years after all, its only recently made its way to pro-level DSLR’s. Sony definitely has the lead at the moment as they have been releasing their A series cameras for several years. Fuji has also staked a claim, albeit it smaller but is definitely making waves. 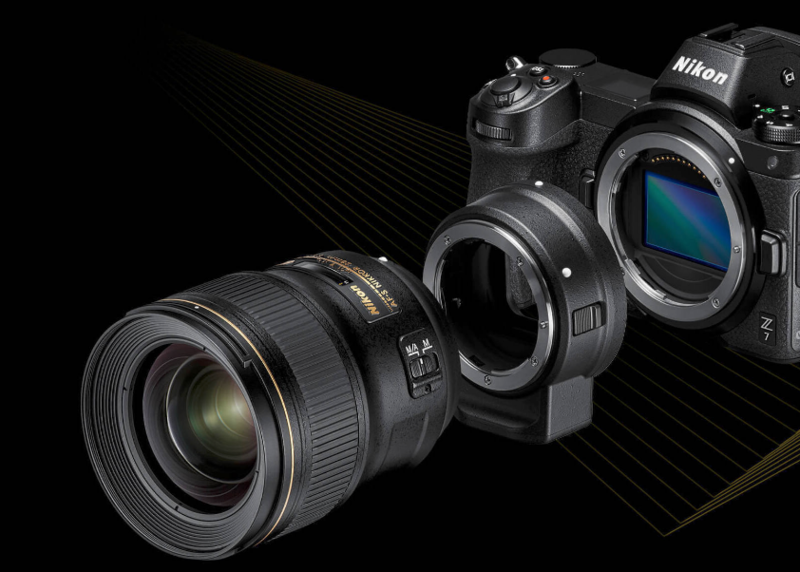 Nikon and Cannon however decided to hold back a while to see what trends would emerge. Both companies decided to officially plant their flags this summer however and have since released their first wave of contenders. I have been waiting for Nikon to make their announcement for over a year. Once it was made it took about a month for me to mull over if it was time to make the jump or not. spoiler alert…. I did…. of course…. Im on the facebook group Pro-Photo Talk with Booray Perry and decided to write down my initial thoughts on my first couple shoots with the new body. So here is the full text as I wrote on that page. fair warning! its long. Some of my “pros and cons” will change as I get more comfortable with the camera but as I mentioned in the article below I really love the new body. My old cameras feel archaic by comparison and I’m very excited for the future! Okay! I’ve got about 500 shots down on my Z7 so I thought I’d write up a quick little (not quick or little!) review. No judging grammar or spelling now! my personal editor hasn’t had a chance to proof this yet…..
First off, over all impressions are I love it! but its not without issues. Image quality is amazing, 45.7mp. When the D800 line came out one of the re-occuring issues was that because there were so many megapixels you had to be very steady when shooting otherwise you’d tend to blur more than smaller megapixel cameras. but when the Z7 locks on this is a non-factor. The interior gyroscopes are amazing. I’ve handheld the camera at 1/10 of a second and it’s tack sharp. granted this was with a small lens but I think putting on a 70-200 with its own VR would make this just as possible if not better. Zoom: You can zoom in while looking through the EVF to make sure you have focus! it’s very cool! and you’ll never see it on a DSLR without going into live view. The ISO has also gotten a big boost. For concerts I have gone as high as 3200 on my d810 but things started getting pretty dicy after that. Z7 I would be fully comfortable getting up close to 10,000. There’s definitely grain at this level but if you are shooting for web this would be a non issue and pretty easily cleaned up in LR/PS. EVF: Pretty amazing. It’s still not going to be as life like as looking through a mirrored DSLR but when you add in the WYSIWYG its totally worth it. Its also easier to adapt to than I thought it would be. I had mental images of late 90’s Virtual Realty nausea but its so much better than I could have hoped for. The articulated screen is not a new feature but it’s the first time I’ve had one and its delightful. I shoot a lot of low angles with real estate and its a back saver! The touch screen is also pretty fast (especially considering the size of the files). I doubt I’ll use the menu access touch screen as much as traditional buttons but its a nice feature to have too. The lens adaptor is pretty solid. I worried about too many attachments, coupled with large lenses might make for eventual loose connections but the set up is rock solid. The size of the camera is great. I have decent sized hands and it does not feel small to me at all. The weight is also very comfortable. Coupled with the kit 24-70 lens I could easily carry this all day. Durability: When I heard it was small I immediately started thinking cheep, but this is not the case. It’s a well crafted rock of a camera. I have no intention of weather testing it (on purpose at least) but I feel very comfortable with its durability and seals. I would put it on par with the 800 series at least and maybe better. Lens adapter. It’s not flush with the bottom of the body. This means that any attachments (Spider Holster clip, Tripod plates) are probably going to have to come off if you move from an F-mount lens to a Z mount lens. While the adapter has a screw point, just like the main body, you can’t physically have anything attached when you’re putting it on as it will hit the hand grip of the camera and not lock in. Pretty annoying! I’ve also noticed a little more hunting with my F mount lenses than I would on a traditional DSLR but not a whole lot slower. Buttons. The old D800 series had a ton of buttons! everything was really easy to access on the fly. I think because of the size of the Z they nixed most of these. A lot of important options are now menu driven which, for me, is really annoying. They do have a custom “I” button that you can load up with your favorites but I really miss rolling a speed wheel for my timer or a simple two button push for reformatting a card. and it would not have been hard to add the secondary dial on the left wheel. that was just lazy of them. Also, while I am getting used to them now, the Fstop and Aperture dials are kind of oddly shaped and don’t feel quiet as natural as the 800 series. XQD Cards: …..freaking expensive! And while, I personally don’t really care, theres only one slot. So, yada, yada, yada, boo hoo. Image sensor: YIKES! it’s exposed?!??!! why arnt more reviews talking about this? Props to Cannon for building a trap door that closes when you switch lenses. Nikon however (and Sony too I think? )… While beautifully large I get really nervous seeing that full frame rectangle. Beach Shooters beware! (I’m looking at you, Booray!). So far there’s been no signs of grease, smudges or dirt but talk to me again in 6 months. Focusing: Shooting fast moving subjects is a tad on the tricky side and the follow focus is nothing compared to Sony’s eye focus. I will say though that I shot a soccer game as one of my first tests and I did just as well with the Z as I would have the D810 under the circumstances. Theres also a ton of options here that I need to explore as I think I could easily find better ways to track and get even more proficient with it. The joystick is a really nice feature and the near edge to edge focal range is awesome. annnnnnnd I can’t think of anything else. So over all, am I happy with my purchase? Yes! I would still buy it again and this will be my primary shooter. For studio work it’s going to be awesome, especially with constant lights (I shoot spiderlites as well as alien bee’s (haha, Halloween….! I’ll see myself out…) but I have been mostly using constant lights for the last 6 months). It does have some kinks to work out. Some of these can even be done with firmware updates. For the Nikon crowd I’d say if you already have the 850 you might want to stick with it a bit longer. For me coming from the 810 it is a pretty big upgrade. I will not be getting rid of my D810 any time soon but it definitely is moving to back up status. If you’re a Cannon shooter its hard to tell if its time to jump. I feel like the EOS-r is more of a middle of the line camera than a pro body but maybe I’m just judging it on smaller mega pixels. It definitely has some nice features I wish Nikon had thought of, but there was never a chance of me leaving Nikon (way to many lenses I love). If you have questions I’ll be happy to try an answer them. I don’t know all the micro specs of the camera (and theres definitely plenty of info out there that does) but I’ll try and cover any practical usage questions and concerns y’all might have.